When colloidal particles are dispersed in a nematic liquid crystal medium the composite exhibits very interesting behaviour. At volume fractions above 20% it becomes very stiff and, together with rheological data, simulations indicate that a colloidal gel is held together by defect lines percolating through the sample. These composites could find applications in sensor technologies. This novel behaviour was published in the top international journal Science in 2011. When colloids are dispersed in a liquid crystal molecules will either align parallel or perpendicular to the colloid surface. For the case of planar anchoring colloids dispersed in a nematic liquid crystal form chains. Our research demonstrated that colloids dispersed in a cholesteric phase form plate-like structures to minimise distortion of the cholesteric helix. 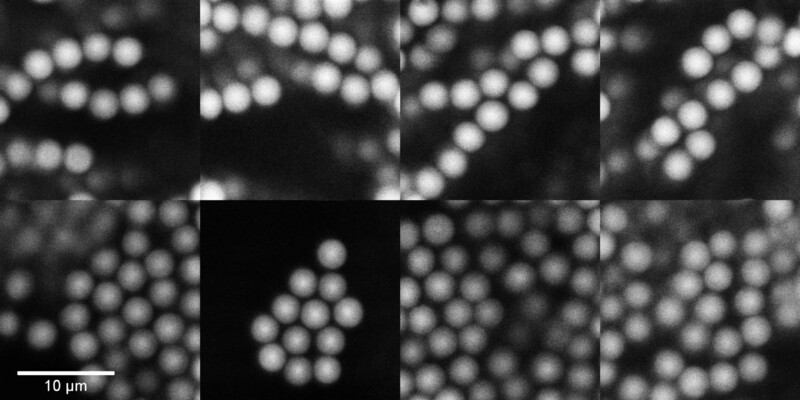 This research has interesting implications for the topic of self-assembling systems. A polymer particle can adopt a surface charge by preferentially absorbing positively or negatively charged micelles. We studied the charging of non-polar colloids when surfactants were added that formed reverse micelles in the solution. 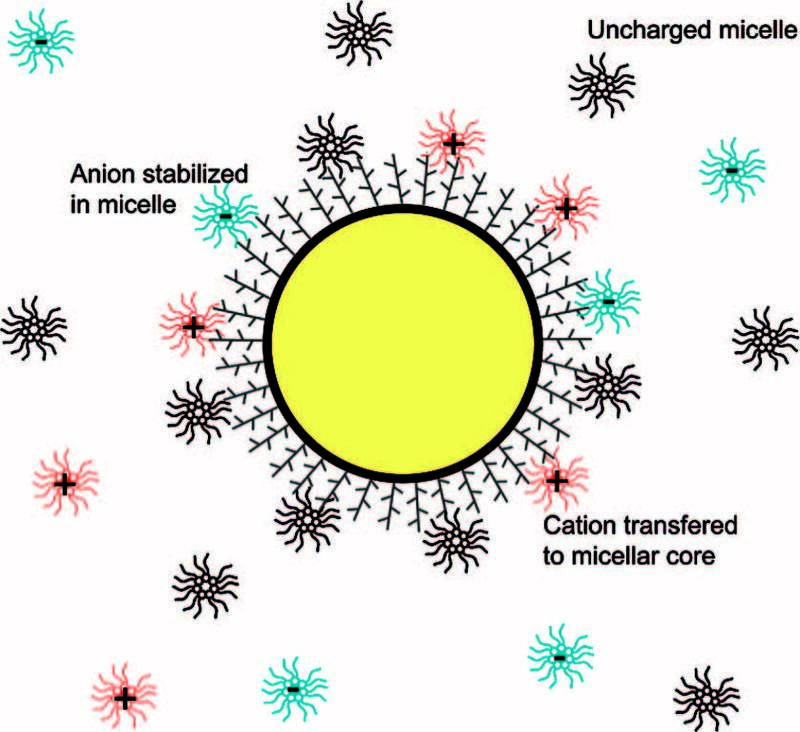 We showed that particle charging is generated by the competitive adsorption of both positive and negative micelles.